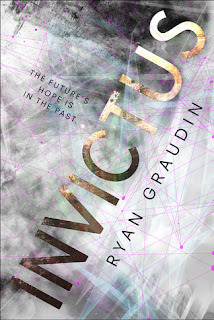 I'm a sucker for time travel books so Invictus was on my radar from the first time I read the synopsis. Often times in a time travel novel, it becomes a little difficult to keep up with, but I didn't really have that problem with Invictus. It was pretty easy to follow until the very end. Things got a little messy, but I was still able to focus on the plot and understand what was happening. I really enjoyed all of the characters and loved all of the beautiful imagery Graudin created. I was able to picture the characters perfectly in my mind and I really fell in love with each of their personalities. There was a ton of action throughout the novel and I never felt bored or tired of the characters. I would recommend this novel to readers who enjoy sci-fi and fantasy novels. Thank you to NetGalley and Little Brown for sending this novel in exchange for an honest review!